Most of us are used to fully stocked supermarkets – – at all hours of the day. We live in a culture of abundance, able to find and buy all kinds of food at all times. One area where this is very clear in our supermarkets is the bakery section, where multiple varieties of fresh, high quality bread loaves are seemingly available around the clock from 7 AM until closing at 11 PM. For the consumer, this vast selection is a bonanza – but it comes at a high cost. The vast “choice” at all hours requires overproduction, and a lot of waste (as the attached picture shows). Those fully stocked shelves in our supermarkets often result in waste bins full of bread in the back of many stores – and a lot of wasted resources. I attended a lecture recently in which the speaker noted that one of the easiest food production lines to keep running 24×7 is a bakery. 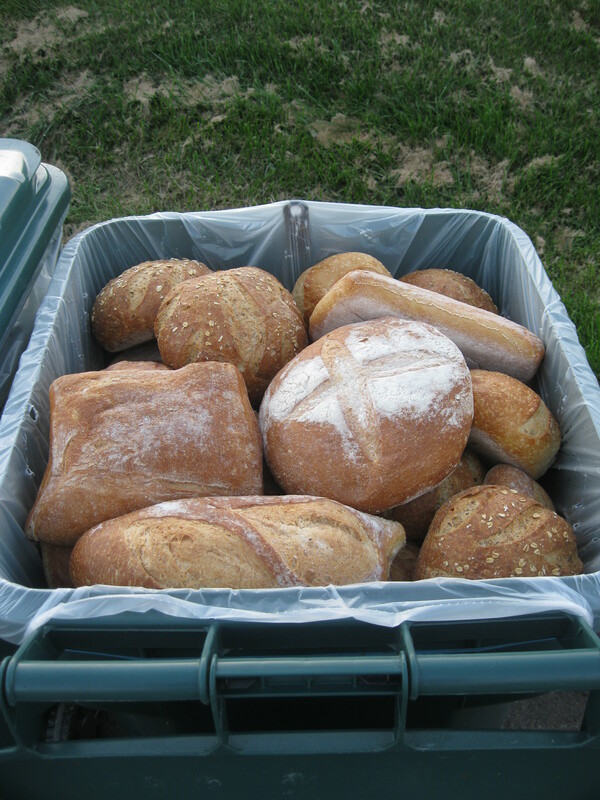 From a resource optimization standpoint, we would all benefit by accepting a little less choice at the end of the day in the bread section – something I think most consumers would be willing to accept if they realized how much bread goes to waste across the country daily. Forward-thinking supermarkets should consider engaging consumers on this issue, communicating how much could be saved in exchange for a little less variety at all times. At a minimum, much of that excess bread could be donated to food banks and pantries, or converted into other items (bread crumbs, croutons, etc.) in order to avoid wasting resources.